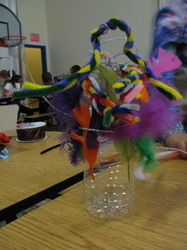 Students were introduced to the artwork of Joyce J. Scott. Her glass bottle sculptures represent the human body. 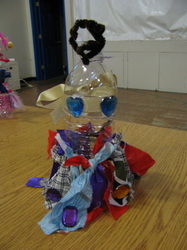 Inside the glass, viewers may learn more about the person Scott has created. 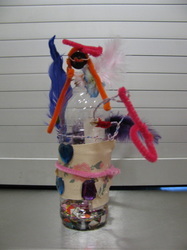 Objects are placed inside the glass to represent the person's interests experiences and memories. 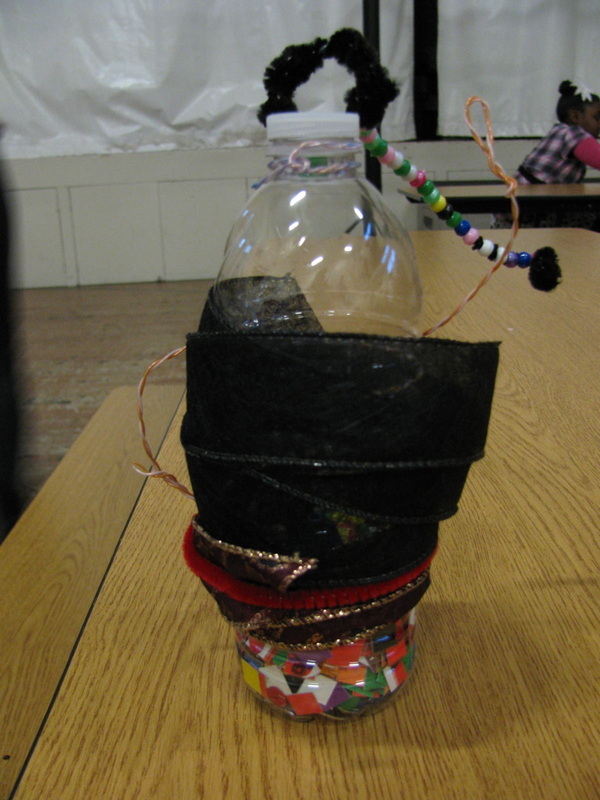 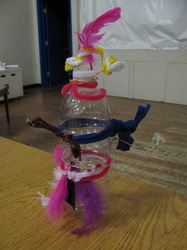 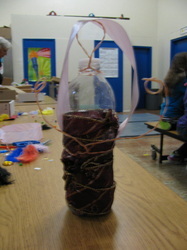 The teacher instructed how to create a body structure using a plastic water bottle and bendable wire. 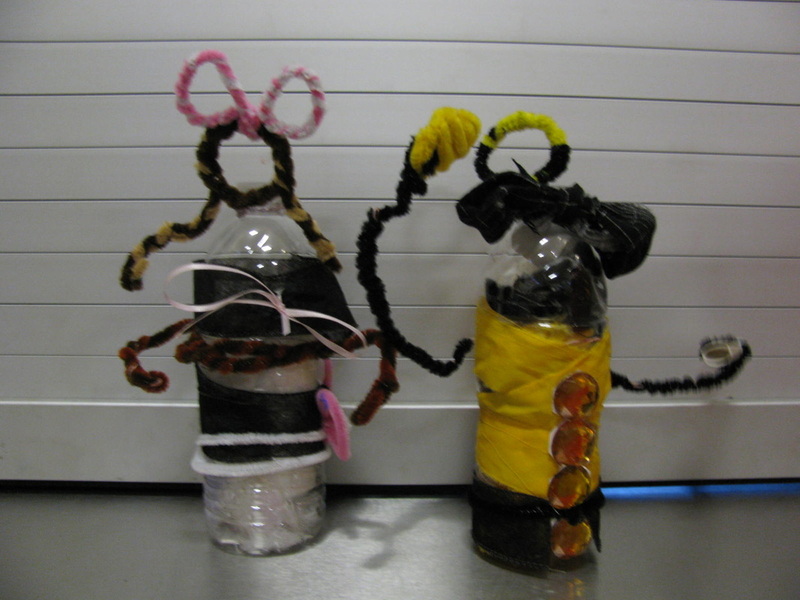 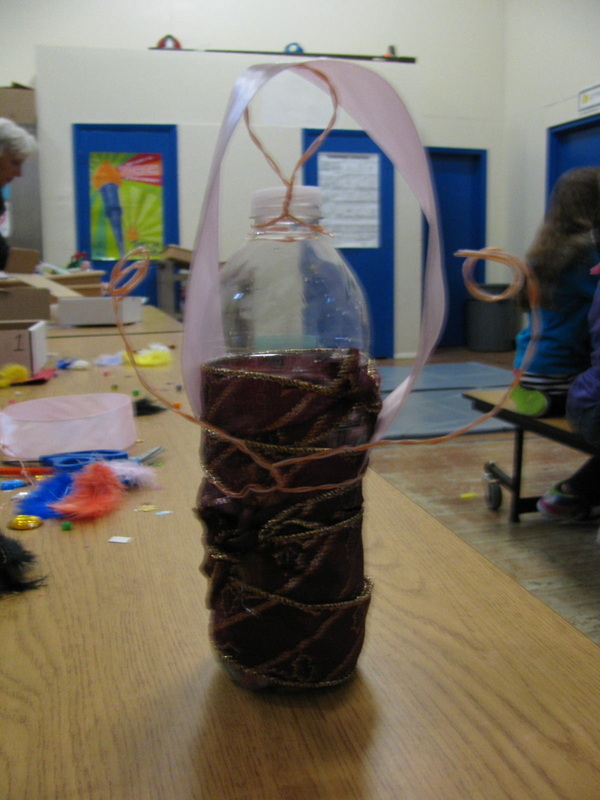 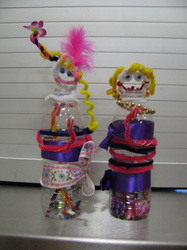 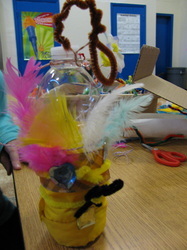 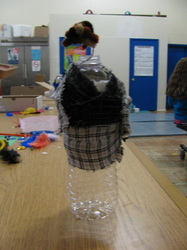 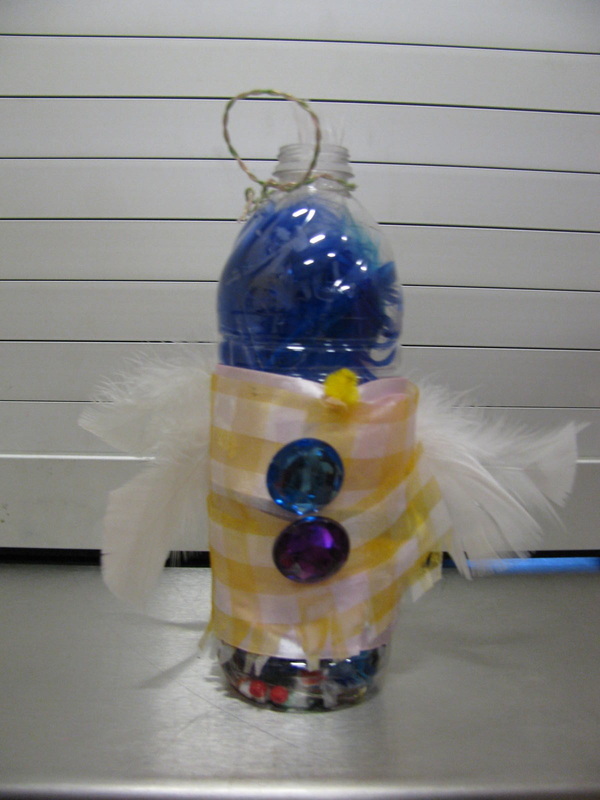 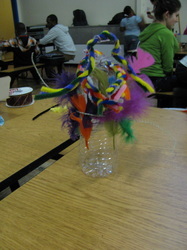 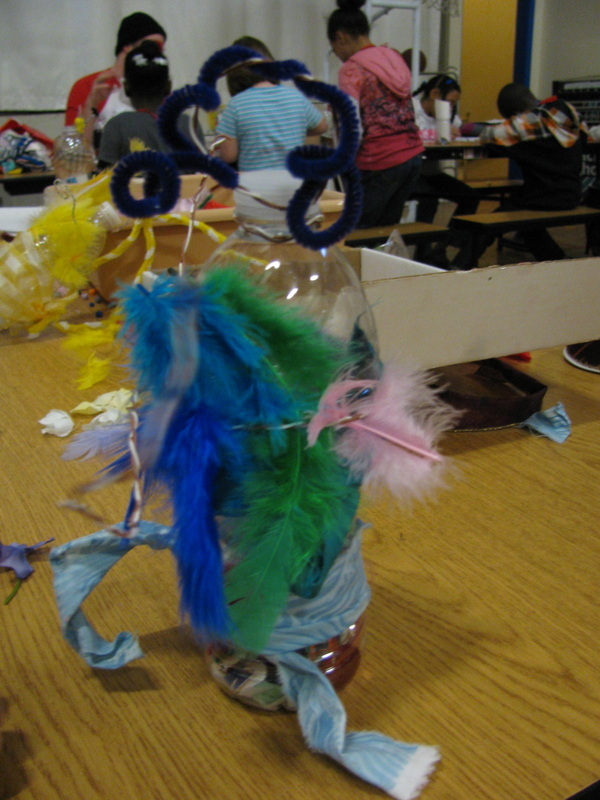 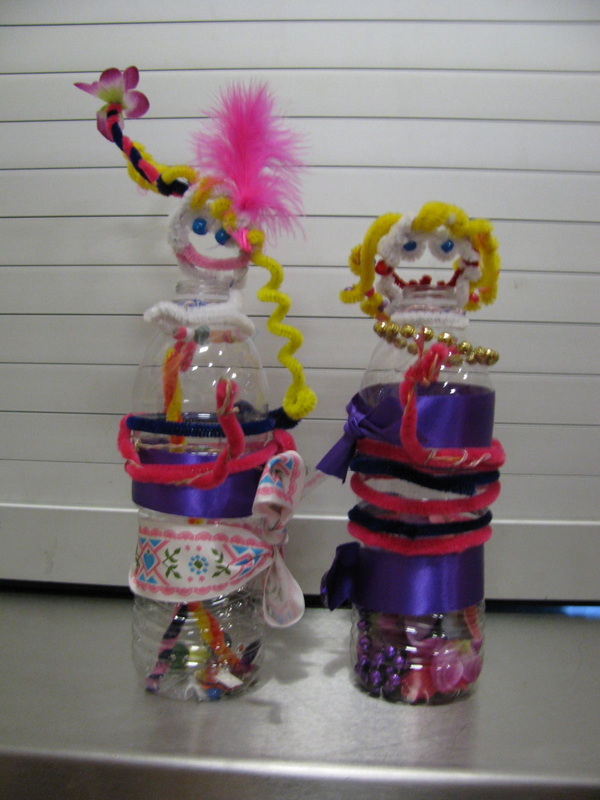 The teacher demonstrated how to create the figure's head and arms using wire to attach to the bottle. Students were then encouraged to creatively problem solve strategies to dress their figure and communicate personality using fabric, ribbons, and other craft supplies. 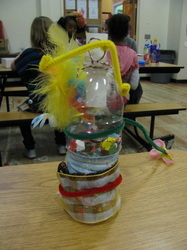 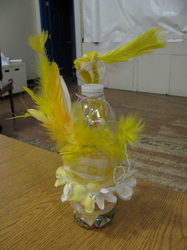 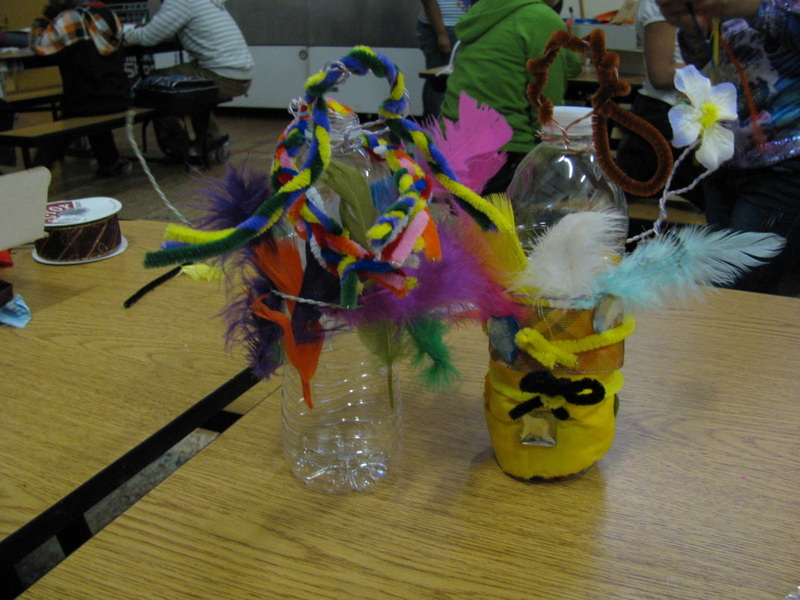 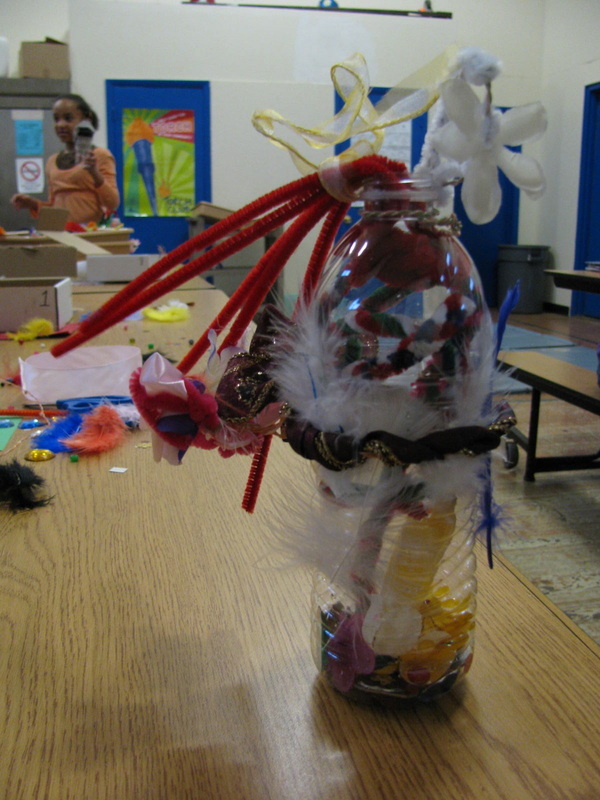 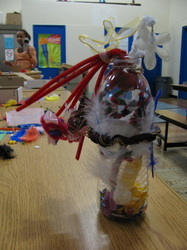 Inside the bottle, students used various beads to fill the sculptures. 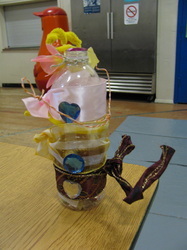 Each student wrote specific goals for their future and placed it inside the bottle.